This Pindola Bharadvāja (Edo period, 18th century) was one of the sixteen arahats, who were disciples of the buddha. Pindola is said to have excelled in the mastery of occult powers. 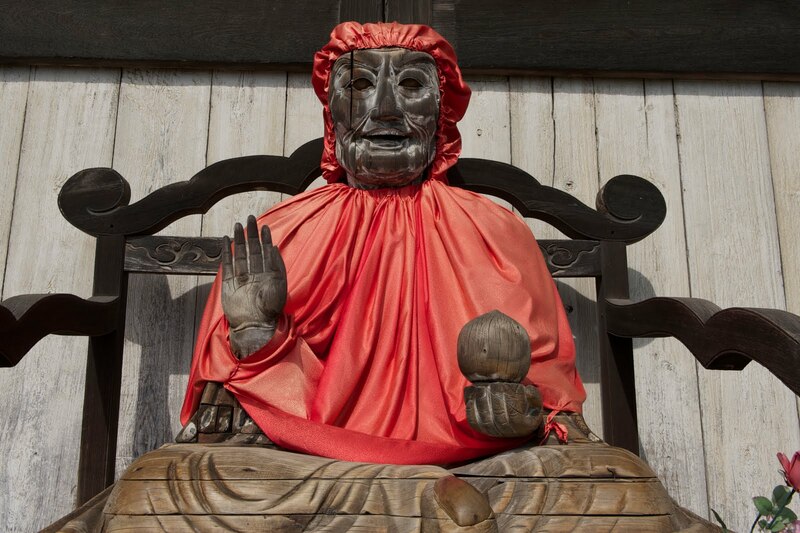 It is commonly believed in Japan that when a person rubs a part of the image of Binzuru and then rubs the corresponding part of his own body, his ailment there will disappear.